By Samuel Mckenzie, BScReviewed by Dr. Tomislav Meštrović, MD, Ph.D. Stem cells are undifferentiated cells with a high degree of self-renewal, that can differentiate into many different specialized cell types. 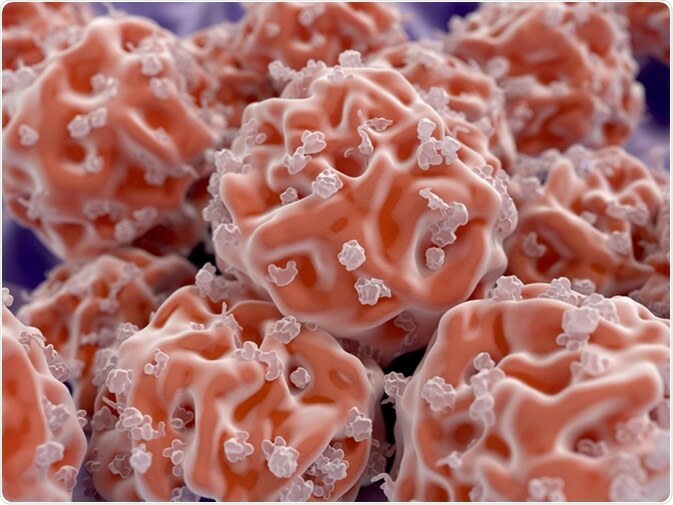 Stem cells can be manipulated to provide treatment for illness and disease. Somatic cells such as fibroblasts can be reprogrammed into iPSCs by employing genetic modifications or chemical treatments. This was first achieved by Yamanaka using 4 genes involved in the maintenance of ECS pluripotency (Oct4, Sox2, c-Myc, and Klf4). The iPSCs can then be directed towards the desired cell type. In the past five years, there have been many major advancements in the field of stem cell treatments for illness and disease. In this study, ESCs were differentiated into neuron progenitor cells in vitro, these cells were then transplanted into AD rat models. The SC-treated rats performed better at the cognitive tests. Bone marrow mesenchymal stem cells (BMMSCs) were also shown to reduce AD-causing Aβ deposits in the brain, which increased the neuronal survival of the animal models. Many recent studies have concluded that ESCs and iPSCs have the potential to replace lost retinal cells, and MSC may be able to protect RGCs and stimulate the regeneration of RGC axons. NSCs have the potential to replace lost retinal cells and stimulate the regeneration of damaged retinal cells. A recent study used immortalized human fetal NSCs for transplantation to stroke patients, with no adverse effects. These NSCs do not colonize the brain tissue but are a transient population that has an influence on brain function. Phase II trials aim to assess the effectiveness of this type of NSC 2-4 months after a stroke. Recent Phase I/II clinical trials used fetal NSC progenitors in patients with T2-T11 spinal cord injuries, which were injected above and below the site of injury. There were no adverse health effects in these patients and sensory and electrophysiological responses were gained over time. Furthermore, endothelial stem/progenitor cells have been used in Phase I/II clinical trials to assess their effectiveness in treating refractory angina. The SCs were used in attempts to encourage angiogenesis (the creation of new blood vessels). There were no adverse cell-related effects and there was a reduction in the number of angina episodes per month with the patients that received treatment. In conclusion, stem cell research can provide the agency to treat many illnesses and diseases. There are many different types of stem cell, each with specific advantageous that justify their use. Many recent discoveries have been with Phase I and II clinical trials. Due to the heterogeneity of diseases, these positive results may not progress into the later stages of clinical trials, namely phase III and IV. However, with more research into stem cells as well as illnesses and diseases, more treatments may become available.